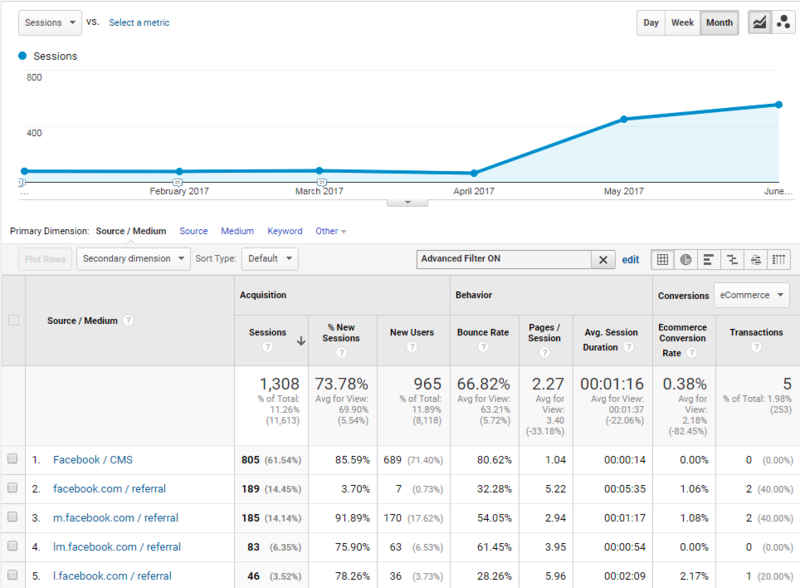 Here’s a real case study showing how our audience-focused approach worked to drive 805 targeted prospects to a client website in just 9 weeks. But let’s start at the beginning, with the people that don’t know you. 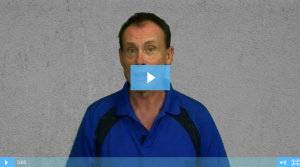 Yes, it’s shocking, but somehow people just won’t find your wonderful website without promotion. This client was already doing some Facebook promotion and getting some new traffic as a result (we’ll see that in a bit). The blue area shows their audience growth over a 6 month period. Okay, that’s not nothing, and it is way more than most of our new clients are doing, but if we did that badly, we’d get fired. The area in green is what we added to their reach. Now, that doesn’t quite double their result – it’s *only* 172% – but it took us just 9 weeks compared to their 24, so I’m calling that a win. The orange graph is the combined total. Okay, so now we’re promoting to the right people, what’s next? They have to acutally see your posts. That’s this next chart. It’s the week-by-week unique impressions. Notice how our posts are getting noticed far better than are the posts done by the client. This is not surprising (to us) because we’ve gone to some trouble to control the message and the targeting to make that happen. 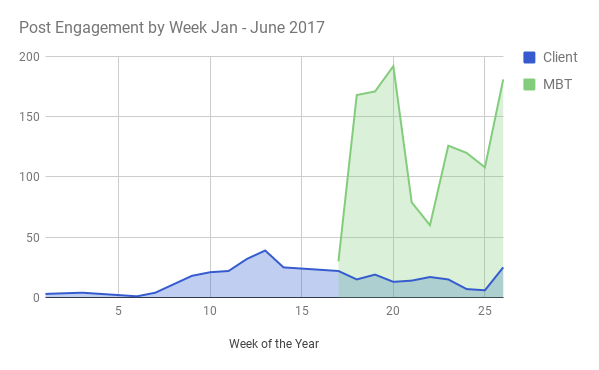 And sure enough, when you get the right message to the right people, you get a graph like this next one showing the engagement people have with your posts. In this case, getting this right yielded a factor of 10 increase in performance compared to the posts they were already doing. There’s still more to tell about this Facebook story, but maybe we should look at how many people in this engaged audience got to the client’s website? Great idea – here’s that chart. This shows the traffic sourced from Facebook with some one-time holiday stuff removed. 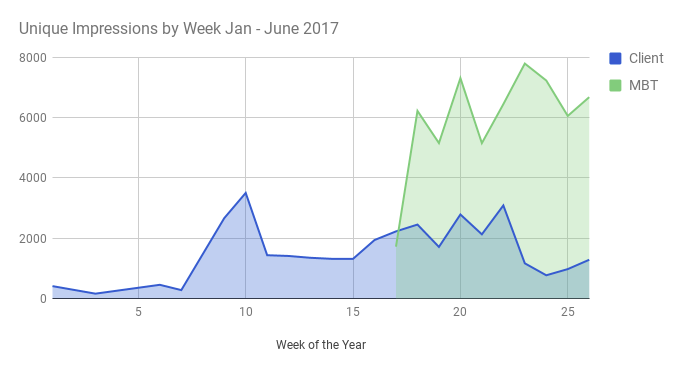 Notice the sharp increase in traffic when we started running our campaign – we sourced 805 unique visitors in 9 weeks compared to the client’s 503 visitors in 6 months. But wait, there’s more! This result was from just the first of five campaigns that we setup and run as part of our Full Funnel Marketing Service. 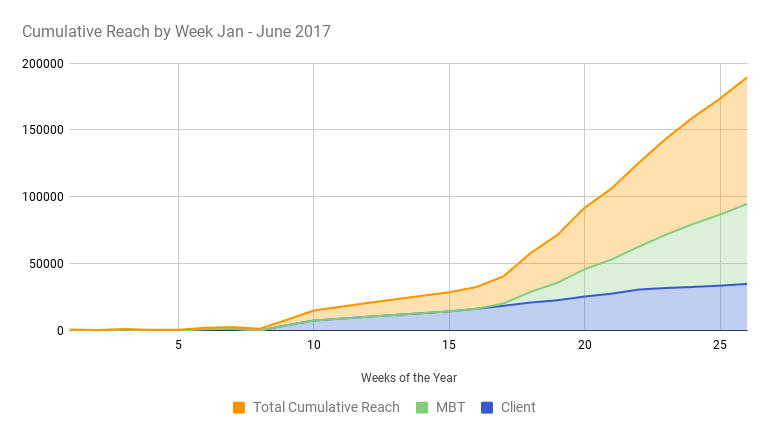 Compared to the method the client was (and still is) using, we’ve produced 172% more impressions and 160% more traffic in a fraction of the time. Once all of our campaigns are in place, we’ll be able to show the full funnel from audience attraction all the way to money at checkout. So this really is an unfinished story, but it is off to a really good start! If you’d like to see what we can do for your business, just contact support [at] marketersbraintrust.com and we’ll see if we can help.